The Canadian Ross rifle was an excellent target rifle, but less successful in service, as mud and dirt tended to clog the straight-pull bolt action. 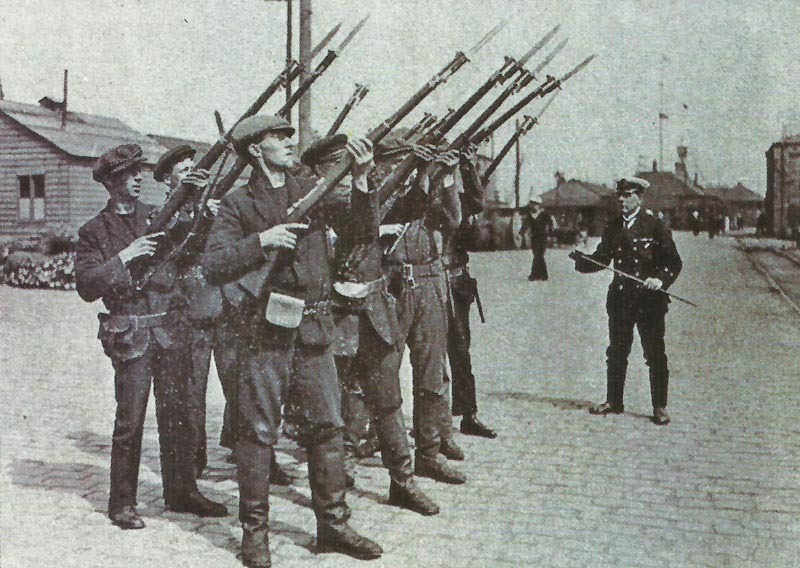 After the Ross rifle was withdrawn, some were issued to British armed trawler crews to provide them with some form of defence against aircraft or U-boats. Flanders­: Canadians discard unreliable Ross rifle for standard SM Lee-Enfield, enter Messines sector on June 28. Artois: French checked at Souchez. Petain and Fayolle vainly oppose mass offensive renewal. Galicia: Mackensen resumes attack on 31-mile front, forcing Russians towards Grodek line, claims 40,000 PoWs until June 16. Aden: Turks shell Perim Island, but 23rd Sikh Pioneers repel dhow landing attempt next day. Greece: ­Venizelists win General Election.